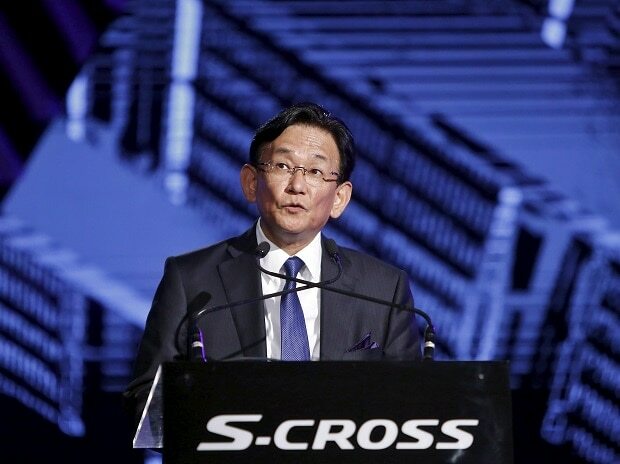 The country's largest carmaker Maruti Suzuki India (MSI) on Wednesday re-appointed Kenichi Ayukawa as Managing Director and CEO for a period of three years with effect from April 1, 2019. The company's board, which met Wednesday, re-appointed Ayukawa on the existing terms and conditions including remuneration, MSI said in a regulatory filing. This would be Ayukawa's third three-term as MD and CEO of MSI. He had taken over for the first time in March 2013. In a separate filing, the company said its board has approved the production of its compact SUV Vitara Brezza by Toyota Kirloskar Motor (TKM) beginning 2022. The company said the decision to allow production of Vitara Brezza at TKM's existing plant with effect from 2022 will save it from investing in a new manufacturing facility. "Variants of this model (Vitara Brezza) will be sold through sales network of the company and TKM respectively," MSI said. The board also approved supply of a "derivative model of Baleno" to TKM. "This will result in incremental sales for the company," it added. Besides, MSI board approved use of Toyota Hybrid System (THS) in its future products. The move would help the company become a "front runner of clean technology in mass market", it said. Last week, Japan's Toyota Motor Corporation and Suzuki Motor Corporation had announced strengthening of their collaboration, including manufacturing of Suzuki-developed compact SUV Vitara Brezza at Toyota's plant in India from 2022. Moreover, Suzuki will supply its India-produced Baleno, Vitara Brezza, Ciaz and Ertiga vehicles to Toyota for the African market as well, the companies said in a joint statement. Toyota, on the other hand, will provide Suzuki its hybrid electric vehicle (HEV) technologies in India through local procurement of HEV systems, engines, and batteries, while also supplying THS (Toyota Hybrid System) to Suzuki in the global markets.